Minor Green Wood was born on 13 December 1875 in Texas. Robert Cummings Wood and Margaret Elizabeth Wynne appeared in the US federal census of 1 June 1880 in Walker County, Texas. Other members of the household included Minor Green Wood, Fannie Ida Wood, Lou Ella Wood and Hugh Wynne Hopkins Wood. 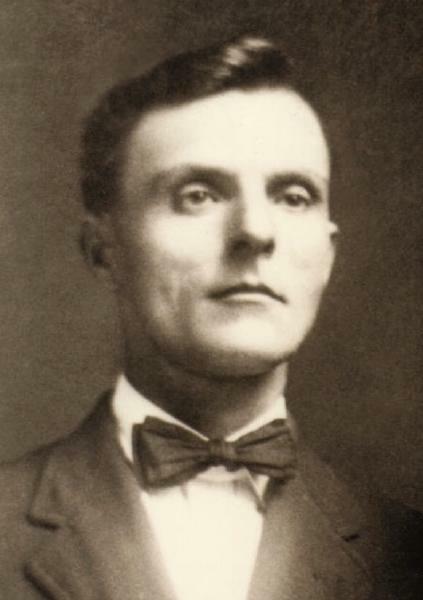 He married Allena H. Martin, daughter of Allen Russel Martin and Ann Roberta Magee, on 10 March 1897 in Grimes County, Texas. Minor Green Wood and Allena H. Martin appeared in the US federal census of 1 June 1900 in Grimes County, Texas. Other members of the household included Willie Martin. Minor Green Wood and Allena H. Martin appeared in the US federal census of 15 April 1910 in Grimes County, Texas. Other members of the household included Allen Minor Wood. Minor Green Wood registered for the draft on 12 September 1918 in Navasota, Grimes County, Texas, while living in Navasota with his wife Allena, and self-employed there in farming and real estate. Minor Green Wood and Allena H. Martin appeared in the US federal census of 1 January 1920 in Navasota, Grimes County, Texas. Other members of the household included Allen Minor Wood. Also in the household were two female boarders. He was self-employed as a dealer in real estate and oil leases, according to the 1920 census. Minor Green Wood and Allena H. Martin appeared in the US federal census of 1 April 1930 in Navasota, Grimes County, Texas, at 308 Washington Avenue. He was self-employed as a real estate agent, according to the 1930 census. Minor Green Wood died on 2 April 1932 at age 56 in Navasota, Grimes County, Texas, . His death was officially witnessed by Allena H. Martin. His wife Allena H. Martin became a widow at his death.